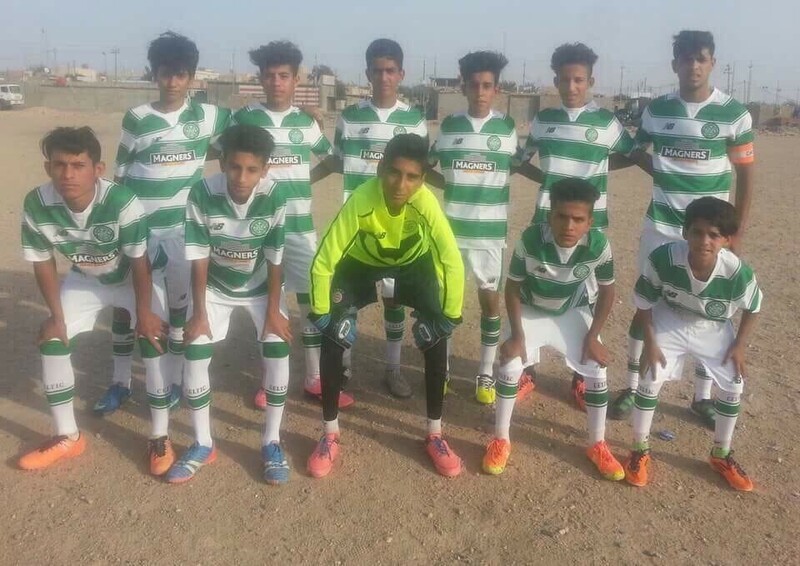 A Wood employee has shown care for the people and community where he works by liaising with his favourite boyhood football team to secure over 10,000 items of football kit for disadvantaged children and local sports teams in Iraq. Michael McGrory, an operations advisor currently working on Rumaila, the world’s third largest oil field, has been a lifelong fan of Celtic Football Club (Celtic FC) a professional club based in Glasgow, Scotland which plays in the Scottish Premiership. Beginning his career with Wood in 2011, Michael worked offshore in the North Sea before moving to Iraq in 2014 and is currently based 45km from the city of Basra. He oversees two de-gassing stations in North Rumaila, and provides training, support and development to local Iraqi engineers, operations employees and project teams. Michael comments: “I’ve been working in Iraq for four years and have seen the poverty and hardships people of all ages and backgrounds here have suffered over the past few decades. My Iraqi colleagues have shared stories about relatives and friends who have lost their lives and the resulting high number of children who are orphaned. Michael is a distant relative of James McGrory, a Celtic FC player and record British goal scorer in the 1920s and 30s, who also managed the team for nearly 20 years until 1965. In 2003, he was able to live his childhood dream of not only playing in a charity football at Celtic FC’s home ground with former players, but scoring a goal too! He continues: “I have connected with the people I have met in Iraq over a shared love of football and wanted to channel this into something positive. “I wrote to the charitable arm of Celtic FC which aims to provide assistance to those facing daily challenges within four key areas; health, equality, learning and poverty. In my letter, I explained that I’d like to acquire two full football kits for two children’s orphan football teams in Iraq and cheekily suggested they make a donation. 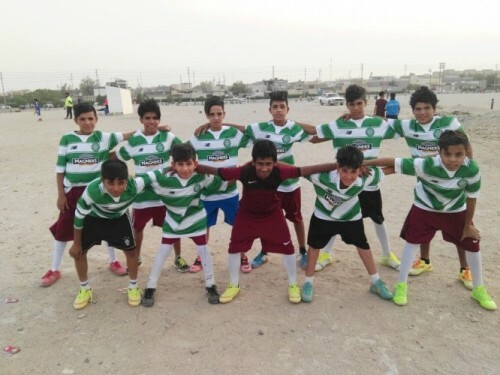 Michael has liaised with the Communications & External Affairs Department at Rumaila Operating Organisation (ROO) who worked with the Basra Directorate of Youth & Sport to distribute the kit to local football teams and various charities working in the surrounding areas. As part of the ROO Social Investment Program, four all-weather football pitches and primary health care and mobile clinics have been established in the area. Projects have been completed to supply potable water, recreation parks, electricity supply to remote villages, paving roads and installing street lighting. The program has also implemented vocational training and work placements for unemployed youth and founded a training centre for women.